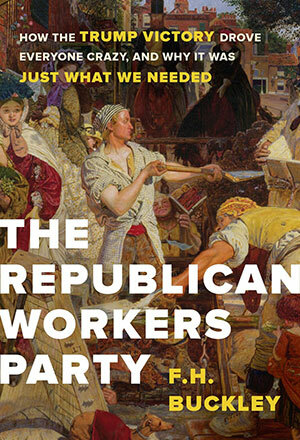 The Republican Workers Party, written by a Trump campaign and transition advisor, is the definitive explanation of the 2016 election and the revolutionary change in American politics. The Republican Workers Party is the winning coalition in American politics. It’s the sweet spot in American politics, the place where presidential elections are won, and the winner is going to be the fellow who won’t touch Social Security and who promises to nominate a judge in the mold of Antonin Scalia. Donald Trump, in other words. If we want to make America mobile again, the way back is simple enough. Fix our broken schools. Amend our immigration laws. 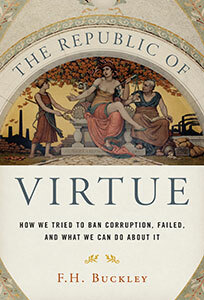 Return to the rule of law. And yet those who boast of their concern about immobility are the very members of the New Class who oppose all such reforms, who for self-interested reasons would keep things just as they are, unequal, immobile. Cruel hypocrites! You might plead your ignorance, but your self-deception only makes it worse. I became a part of the story. I worked on the Trump campaign, I wrote speeches for him and his family, I advised on transition matters, and I came to understand the revolution in American politics. I told Trump that my forthcoming book would pin American decline on a New Class of liberal aristocrats who wanted to keep us economically immobile. We need to take the gloves off, I said. Evidently Trump didn’t need any persuading. A big homerun – thanks for all you do! 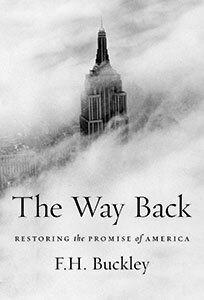 An early and confident Trump supporter, Buckley makes a persuasive argument that Trump has reshaped American politics, opening up opportunities for ordinary people which his predecessors blocked off. Buckley is by turns scathing, funny, and sympathetic, but always well-informed. The Republican Workers Party whose emergence he describes promotes capitalism without cronies, nationalism without ethnic fascism, and solidarity without immobility. In short, he rolls the stone away from the American heart. His only contempt is for the contemptuous, be they of the Left or the Right. 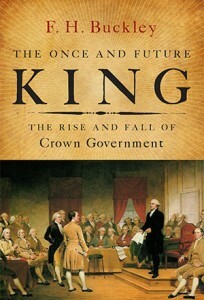 Read this book, and laugh, weep, and ponder his question: whose side are you on? Frank Buckley is one of the most astute observers of the modern American scene.